This historical fiction is a great read-aloud to introduce the unit. It describes life in the Navajo, Nez Perce, Lakota, Iroquois, Cherokee, and ancient mound-building tribes. 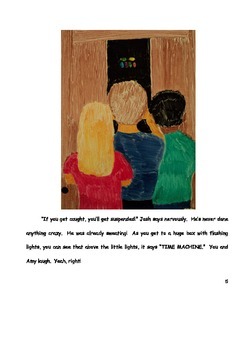 The story is seen through the eyes of two children who find themselves back in time! Full color illustrations and large print enhance reading experience. Audio version is also available on tpt!